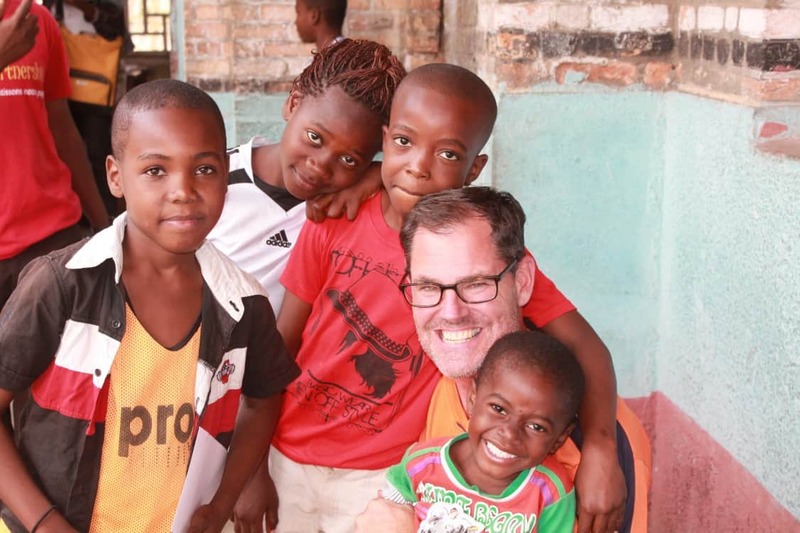 CAC board member and volunteer Jamie Reilly blogs about his last of 7 weeks On-Field with Menelik in Kinshasa, DRC. August 26th 2015. Lawyers and soldiers. Men and women. 4 year olds and 50 year olds. The diversity of the program participants during our week in Kinshasa was unlike any other during my 7 weeks on-field with Coaches Across Continents. Given the scale and scope of challenges facing the people of the Democratic Republic of Congo, it makes sense that such a broad cross section of people would come together to find new ways to bring positive change to their communities. DRC has been the host of one of the longest and bloodiest wars since World War II, claiming over 5 million lives between 1998 and 2003. While the loss of life is tragic, the lingering trauma of the civil war continues to destabilize the lives of tens of millions more throughout the country as it struggles to move forward. Our partner, The Menelik Partnership for Education, was created to help bring resources and support to the most vulnerable populations in DRC. They support schools, run orphanages, provide access to legal representation, IT training, language lessons – the list goes on – in communities throughout the DRC. Sports, and football in particular, are a key part of their efforts to change mindsets and help stop violence and discrimination against women, children and especially young girls. 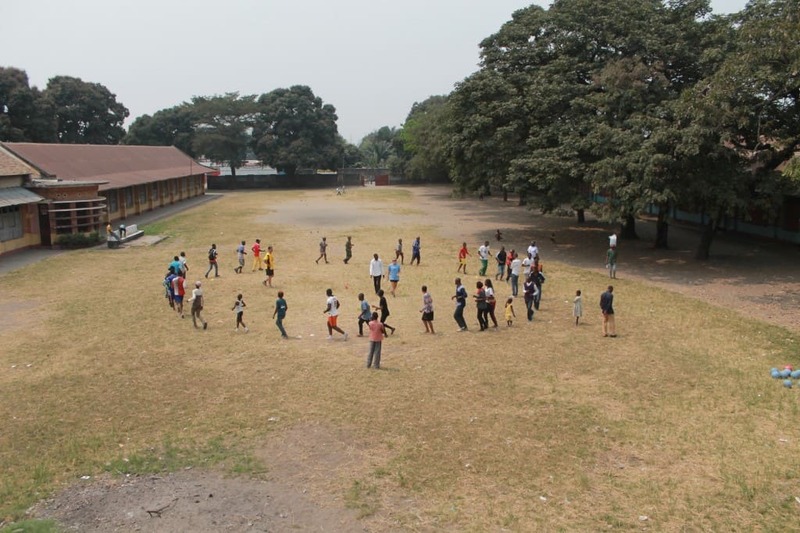 Throughout the week we gathered in the schoolyard of the Ecole St. Georges where Menelik has it’s Kinshasa office and introduced this varied group of about 50 participants to using Sport for Social Impact. The CAC curriculum challenged the group to work together in new ways. There was no lack of enthusiasm for any of the games and activities, but at times this enthusiasm prevented participants from taking time to really understand the full scope of the activity or task. In classroom discussions, participants noted how the CAC activities – especially those focused on problem solving and conflict resolution – will help them develop better listening skills and to fully think through challenges to create the kind of future they want for DRC. Of equal impact were the games and discussions focused on gender equity. For many, it was their first opportunity to voice their opinion, hear a different perspective and to actually engage in a discussion about the issue. With so many different backgrounds, there was a wide range of opinions, but as a result of the discussion, both the men and the women left with a new sense of what might be possible for girls and women in DRC. As Theodore Menelik drove me through the congestion of Kinshasa to catch my flight back to the US, we made a quick stop at an orphanage they run in Kinshasa. This was my second visit with these wonderful kids; we made a visit earlier in the week to play some games one afternoon. As the kids greeted me again with their laughter and grins, it put the past week, and my past seven weeks with CAC in perspective. Despite facing such unimaginable challenges as they start their lives, these children have so much joy, intelligence and potential. Fortunately, there are groups like the Menelik Partnership for Education that step in to give these kids a better chance at meeting those challenges. The training and support CAC provides helps create new ways of thinking, new skills and habits and new approaches for Menelik and the children they serve to solve the problems in their community. I have been privileged to join in these efforts.